Are old injuries haunting you? — Blue Sky Chiropractic, LLC. Are old injuries haunting you? What is the greatest predictor of injury? Tissue and bone actually heal quite rapidly. But why does that area keep getting re-injured? Because there is a difference between healing, and achieving full function. Your rotator cuff surgery was 5 years ago, so why is that area still hurting? Why does your back seem fine for a couple of years, and then all of a sudden flare up again? Because you may have not restored full function to that area. When we are injured, the brain does a great job of avoiding use of that area. During the healing stage this is beneficial. But when those patterns of avoidance continue after the tissue has healed, it can create long-term compensations. There is a lot of redundancy in the body, and while it may not be a big deal during the short-term for some muscles and ligaments to be working harder than others, it should not be a long-term strategy. Eventually the muscles and ligaments doing the extra work will themselves break down. 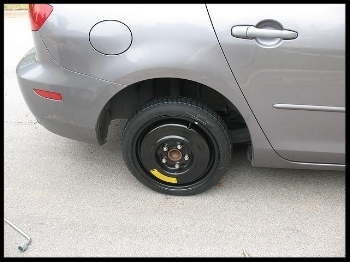 You wouldn’t want to drive your car too long or too fast on a spare tire. Similarly, a compensation pattern to get you through the healing process might be fine for getting you back to work. But you wouldn’t want to go on a cross-country road trip with it. Not a good long-term strategy. With NeuroKinetic Therapy I can test almost any muscle in your body to determine which muscles are working too hard, and which muscles aren’t working enough. With simple homework you can then clear out those patterns. The key is finding pain-free movements so that there is no longer the feeling of threat to that area. If I give you an exercise that causes you pain, the compensation patterns will start all over again. We don’t want that. I can start you off with exercises that don’t hurt, and that build both function and confidence. From there we can continue to build into strength. If you have an old injury that is haunting you, showing up when you least expect it, creating fear and apprehension, and limiting your enjoyment of life, come see me. Let's kick that ghost out of your life.